Ipoh was already famous for its Chinese limestone cave temples and Kellie's Castle. But since 2004 there's another attraction: The Lost World of Tambun. Below you'll find a the finest selection of hotels in Ipoh you can use for your excursions. 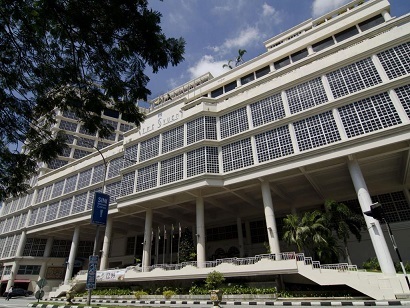 Opened in April 2011, this conveniently located hotel is the latest addition to the Sunway family. Featuring 134 hotel rooms with a choice of king or twin beds, Lost World Hotel is comprised of 20 serviced apartments allowing you to wake up to a spectacular view of the 400 million-year old limestone hills enveloped by morning mist. Try out the ultimate experience at the Lost World Hot Springs & Spa, a perfect way to soak in the natural therapeutic hot springs while star gazing. The property is a retreat for the entire family as well as the corporate world, elevating it to a whole new level of entertainment and leisure by providing a safe, friendly, and secure environment for all its visitors. 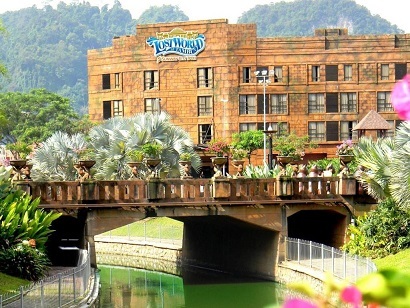 Lost World Hotel is a smoke-free property surrounded by an abundance of nature and the crisp fresh air of Tambun. This premier business class hotel, located in Jalan Raja DiHilir, is situated in the heart of the city. Guests will enjoy easy access to the business district as well as a myriad of fascinating historical, cultural, and tourist attractions. The hotel also boasts panoramic views of the adjacent Ipoh Turf Club, the perfect leisure venue for inquiring guests. The guestrooms are elegant and adorned with the latest features that highlight the vibrant pulse of downtown Ipoh. The on-site Heritage Kopitiam offers a distinct selection of coffee and delectable pastries in an accommodating atmosphere. The Tai Thong Restaurant serves traditional Chinese food in an interesting environment, ideal for that romantic dinner or quaint meeting. 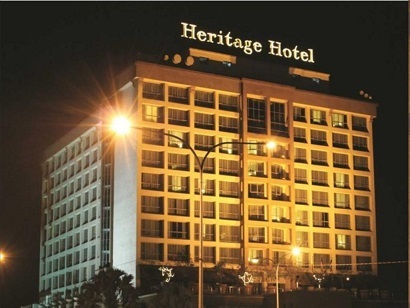 The Heritage Hotel Ipoh is perfect for travelers who want unique accommodation options, a central location, and a relaxing ambience. 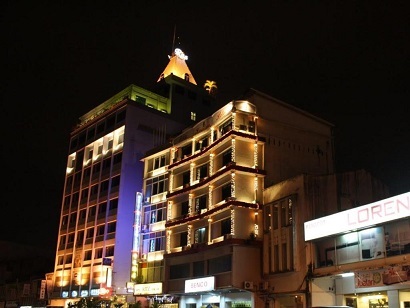 For travelers who want to take in the sights and sounds of Ipoh, Hotel Excelsior is the perfect choice. Situated only 8 km from the city center, guests are well located to enjoy the town's attractions and activities. With its convenient location, the hotel offers easy access to the city's must-see destinations. Hotel Excelsior offers impeccable service and all the essential amenities to invigorate travelers. This hotel offers numerous on-site facilities to satisfy even the most discerning guest. Hotel accommodations have been carefully appointed to the highest degree of comfort and convenience. In some of the rooms, guests can find television LCD/plasma screen, internet access � wireless, non smoking rooms, air conditioning, wake-up service. Besides, the hotel's host of recreational offerings ensures you have plenty to do during your stay. 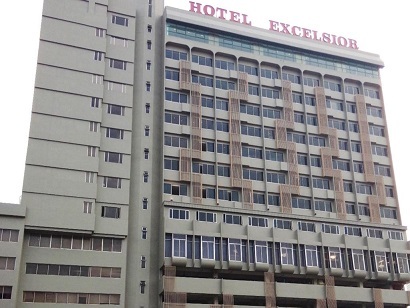 Superb facilities and an excellent location make the Hotel Excelsior the perfect base from which to enjoy your stay in Ipoh. Located in Ipoh, this property offers access to many major attractions in the area. During your visit, remember to visit The Sam Poh Tong, a cave temple that is located deep within the hills amidst a limestone formation. Perfect for both leisure and business travelers who needs an affordable place to stay, Ritz Garden Hotel features modern designs and are decked with wood furnishings. A cozy property indeed, all rooms are promised basic amenities needed for a comfortable stay. With a variety of room styles available, they offer rooms that are suitable for singles, couples, families, and even business suites that are ideal for business travelers. 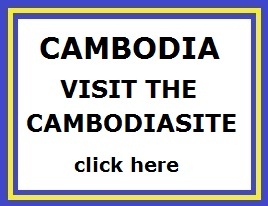 Ritz Garden Hotel offers well appointed and inexpensive accommodations. Perfectly located in Ipoh, this budgeted property offers all the comfort and convenience needed for a perfect stay. All the guestrooms are tastefully decorated complimented with spa services, making it a haven for relaxation. Apart from leisure travelers and backpackers, even the most discerning businessman in transit will find all his demands fulfilled at this property. 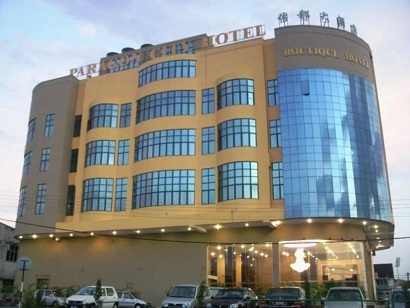 Experience the warm services at affordable prices offered at Paragon City Hotel. Please enter your preferred dates of stay and submit our online booking form to make a reservation. This modern colonial-styled hotel, located in the center of the corporate district, is surrounded by high-rise buildings. Guests will enjoy walking access to shopping malls, business areas, and cultural attractions. There are also a host of unique tourist attractions within proximity to the hotel. Within a 30-minute drive is the Kellie Castle, a scenic venue that features amazing architecture and an adventurous drive that follows the twisting contours of the land, thus promoting a feeling of mystery. The hotel boasts an impressive dining venue that features a delectable collage of cuisine options including Western, Chinese, authentic local, and buffet dining. The Syeun Hotel is ideal for business or leisure travelers who want a central location within a short distance to many important destinations. 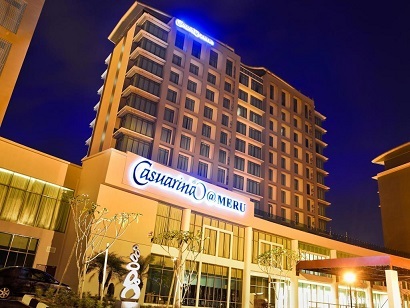 Casuarina@Meru, located in Kelebang, Ipoh, is a popular choice for travelers. From here, guests can enjoy easy access to all that the lively city has to offer. With its convenient location, the hotel offers easy access to the city's must-see destinations. Take advantage of a wealth of unrivaled services and amenities at this Ipoh hotel. For the comfort and convenience of guests, the hotel offers 24-hour room service, free Wi-Fi in all rooms, 24-hour security, convenience store, daily housekeeping. Casuarina@Meru is home to 150 bedrooms. All are tastefully furnished and many even provide such comforts as television LCD/plasma screen, additional toilet, bathroom phone, complimentary instant coffee, complimentary tea. The hotel offers many unique recreational opportunities such as fitness center. Casuarina@Meru is a smart choice for travelers to Ipoh, offering a relaxed and hassle-free stay every time.